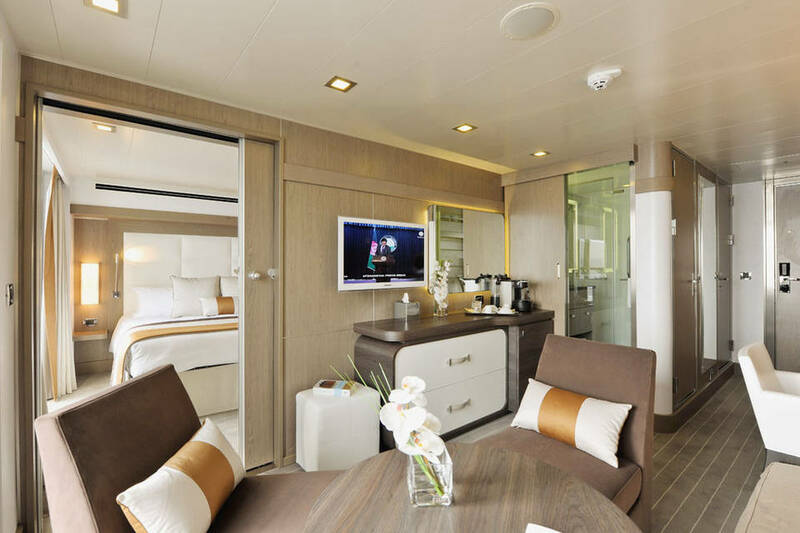 Please Note: your voyage rates include Overnight in Buenos Aires (2020 - 2021 season) + flight Buenos Aires/Ushuaia + visit + flight Ushuaia/Buenos Aires. Area : 36 m² Capacity : up to 4 guests per stateroom 8m² private balcony Individually-controlled air-conditioning King-size bed or twin beds Shower Minibar Flat screen Satellite TV Desk with stationery Ipod™ players Video on demand Safe Hairdryer Bath robes Satellite direct line telephone 110/220 volts outlet French bath products 24hr room service Internet acces wifi. ONLY 2020 - 2021 SEASON. Meet and greet at the hotel by our local representative. Check-in from late morning. Lunch on your own and time at leisure in the afternoon. Dinner. Overnight at the hotel. An early morning breakfast will be served before leaving to the airport for you flight Buenos Aires – Ushuaia. Transfer to the airport. 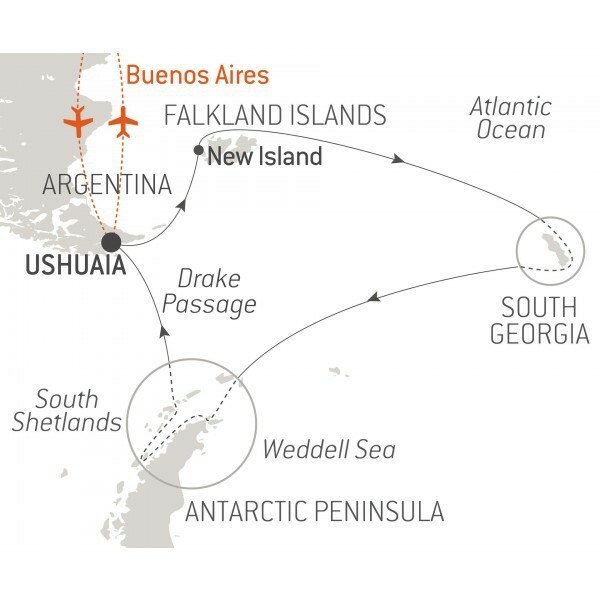 Flight Buenos Aires/Ushuaia selected by PONANT in economy class. Approximate flight duration: 3 hours, 30 min. Meet and greet at the airport (English-speaking assistance). Disembarkation. Meet and greet at the port (English-speaking assistance). Transfer to the airport in time for check-in of the flight Ushuaia/Buenos Aires selected by PONANT in economy class. Approximate flight duration: 3 hours, 30 min.